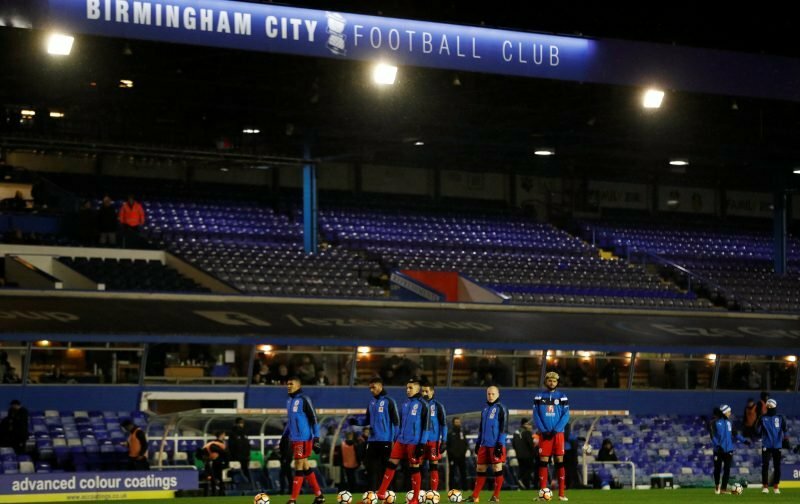 With the transfer window now having been open for just over a week, Birmingham City manager Garry Monk will have his head in a book full of players that he wants to bring to the club to ensure that they are in and around the top six next season. After a heroic turnaround at the back end of what was another terrible season in the Sky Bet Championship, Monk will be hoping to have a little bit of money to spend during the summer to improve on what he already has at Blues at the moment. As club-record signing Jota began to show his worth at the end of the season and Player of the Season Jacques Maghoma continuing to fire on all cylinders as well, Monk will be hoping that he can put together a squad that is good enough to challenge next season. With all that being said, Blues are lacking in certain areas of the pitch and with players from the current crop reportedly being put on the chopping block, such as David Stockdale, Craig Gardner and Jonathan Grounds, there is plenty of room for improvement over the summer. GOALKEEPER – ANGUS GUNN: Manchester City. Despite the news we brought to you earlier about Queens Park Rangers goalkeeper Alex Smithies being linked with a move to the Midlands, I decided to focus my attention elsewhere and on a keeper who has talent in his fingertips. In his 51 league and cup appearances for Norwich City last season, the 22-year-old kept 16 clean sheets, including two against Birmingham City in a 1-0 and a 2-0 win respectively. With his parent club Manchester City unlikely to use him next season ahead of current number one Ederson, it looks likely that the England under-21 man will be heading out to another club once more. Following the success that Joe Hart had with Blues, it would be good to see yet another Man City youngster come in and have the same impact that Hart did when Blues where in the Premier League. For me, Gunn would be a fantastic addition to Monk’s side ahead of Smithies, but whether he is available on a permanent is yet to be known. DEFENDER – JACK FITZWATER: West Bromwich Albion. 20-year-old Fitzwater is a player I watched closely at Walsall last season whilst he was on loan at the Saddlers and despite their league position, Fitzwater was one of the stand-out players for them, especially under new manager Dean Keates. He was sent to Walsall in January by the Baggies and he progressed immensely during his time with them, scoring three goals in the process as well. One thing that could halt this move is the fact that his parent club West Brom have now been relegated into the Championship alongside Blues and with their centre-backs all being on the older side, Fitzwater may fancy his chances in their team should they not go out and strengthen during the transfer window. Should he be made available by Darren Moore, I think he would be the ideal sort of player for Blues to look at. MIDFIELDER – SCOTT McTOMINAY: Manchester United. The 21-year-old midfielder burst onto the scene at Manchester United in the 2016/17 season when he made two impressive performances at the back end of the campaign and he has gone on to bigger and better things with the Red Devils this season making an impressive 24 appearances in league and cup for them. However, with the likes of Paul Pogba ahead of him and with the potential arrival of Brazilian midfielder Fred, he could find himself further down the pecking order at Old Trafford and a loan move for the youngster may prove to do him the world of good. With little creativity in the current crop of Birmingham City midfielders, manager Monk is sure to be looking for a central midfielder who can create chances out of nothing and with the new liquid football that the former Swans boss wants to play, McTominay could well be the man to bridge the gap. There are plenty of other options out there for Monk to explore but with the possibility of bringing in this youngster who already has experience of playing at the highest level, it surely has to be a loan move worth looking at. STRIKER – JACKSON MARTINEZ: Free Agent. At 31, Martinez has the experience that the current Birmingham City squad is lacking but he also still has two or three years left in the tank to produce some heroics. The former Athletico Madrid striker moved to the Chinese Super League for a record transfer fee of 42million euros but after a failed stint with Guangzhou Evergrande, he was released in March having been omitted from their 31-man squad. Scoring just four goals in 16 appearances for the Chinese side, Martinez hasn’t exactly been prolific since he left Madrid meaning he has a lot to prove, including his fitness which could put some clubs off. However, with his clear prowess in front of goal, showing in his 94 goals in 134 appearances for Portuguese side FC Porto, I believe he still has plenty to offer. Of the four players that have been discussed, which one do you think would have the most impact on the current Birmingham City squad that is on offer to Monk? Is there one you would take a gamble on? Let us know in the comment section down below! Martinez, because goals win games and for us, he’s free! But could we afford his wages, no good suggesting players if we can’t afford it. Don’t think martinez or Mctominay are reslistic targets, especially Mctominay. Don’t see any of those four being on Monk’s list, or even likely to join us if they were. They’re definitely positions that need improvement though. We want players who are committed to the club and preferably a lot younger than Martinez, who failed in China, and if he failed in China how would he cope with a season in the Championship. Hopefully if Vassell can stay fit and he hasnt lost any of his pace he could be the man we need up front. Unsure about Adams, he hasnt really developed as much as hoped and i wouldnt be too botherd if we sold him, as long as we got a good price. None of them. Pointless article.